We invite you to the mythical land that exists halfway between your home and a dream. It is an unforgetable trip to a forgotten time where the trees are taller and the animals are less shy, if only for a second, and anyone with the will to explore may approach its tricks and games. But it takes something more than courage to enter here-some call it skill. 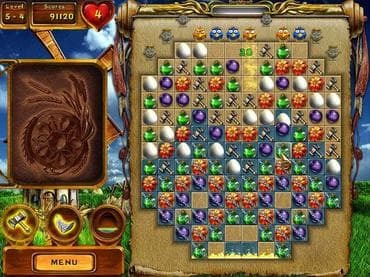 Collect all the treasures of a magical land in this addictive Match 3 game! Download free full version game now and make an unforgettable trip into the world of forgotten magic! If you have questions about Gallic Puzzle game, please contact us using this form.